“Information in working memory lasts only around ten seconds” (What is cognitive load?) n.d) Cognitive load reduces the mental workload because performance decreases when the task is split between the textual and displayed information, which increases the cognitive load. (Johnson, A. Proctor, W. R. 2004. p. 252) Cognitive load has a direct effect on the amount of the information that is taken in because the working memory only holds a limited amount of information. Cognitive Load can be managed through general learning strategies. (Cognitive Load theory of Multimedia Learning (Sweller) n.d) said that Learner goals are important because they determine the cognitive pattern. The Learnability of a design should be easy enough to use immediately which reduces the mental ability to work out how a device functions. Too much information on the use of a device will directly affect the manner in which information is synthesized in working memory (Sweller, 2003). Kinematic load is the degree of physical activity needed to complete a task. Good design should be able to successfully reduce the amount of kinematic load on an individual. The lack of kinematic load is also attractive, it can make a design more appealing and overall easier to use. Johnson, A. Proctor, W. (2004). Attention: Theory and Practice. Michigan, United States: Sage Publications. Paas, F. Renkl, A. Sweller, J. (2003) Cognitive Load Theory: A Special Issue of Educational Psychologist. New Jersey, United States: Lawrence Erlbaum Associates inc.
Devices that reduce your performance load? The TV remote reduces peoples Kinematic load because they can control their Television from a distance. If they want to switch it off or change the channel then they don’t have to psychically keep getting up to control the television. Also, as a device the buttons functions are clearly labelled and grouped together, this reduces people cognitive load because they don’t have to remember which button performs which function because symbols are used on the remote to tell people what that specific button does. The TV remote is certainly the laziest device to mankind’s laziest inducing machine. A calculator is another device that reduces Cognitive and Kinematic load. It functions easily, simply pressing in buttons that display the mathematical input. This requires no strenuous movements or activities, just a small finger movement. The main function of a calculator is too reduce the cognitive load placed on a person. It instantly calculates an equation without the use having to think about it. Therefore, the user doesn’t have to mentally apply themselves to calculating the sum. It is done instantly and easily with the calculator. 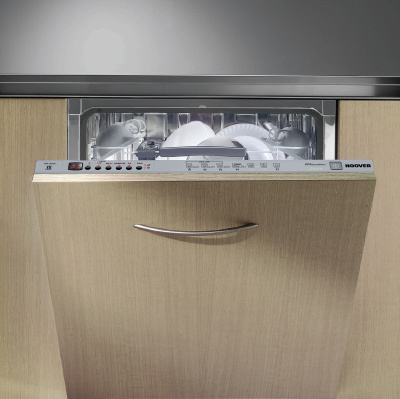 The dishwasher reduces the kinematic load of washing plates, bowls etc. Washing manually with a sponge requires physical activity but a dishwasher reduces this. Technology replaces the need for hours of washing by the users own ability to set the machine to specific functions like time, load etc. Also, the dishwasher can get more washed in less than time, directly managing the work that someone has to perform.